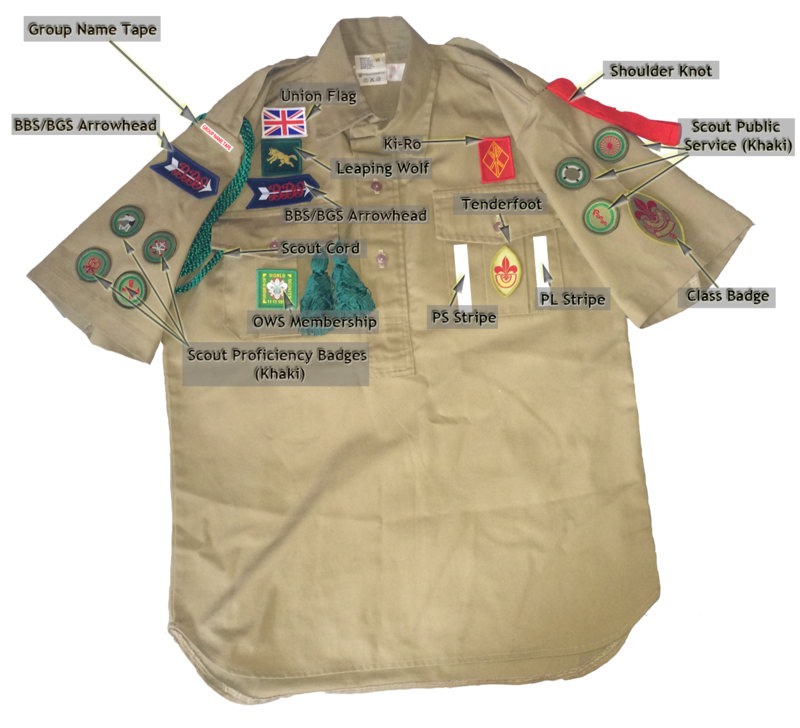 Your scout uniform should stand up to the rougher games, and outdoor activities such as hiking and camping. Uniform is really heavy-duty sportswear. The hat will keep your head warm and dry in bad weather and shade you in hot weather. 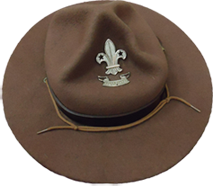 The scout hat string is worn behind the ears, not around the throat. 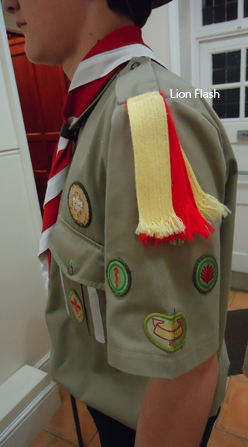 Your group scarf was originally designed to soak up sweat in the summer and to keep you warm during cold weather. Hopefully you will wash, iron and roll it neatly after each energetic meeting! The woggle is leather, but you can make your own Turk's Head woggle from string or leather strip, or carve one from wood or antler. Your safari-style shirt has two useful buttoned pockets for safe keeping of things like notes or money. 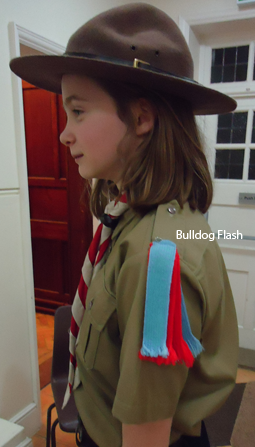 The belt is designed for carrying extras like a lifeline, compass, pen knife and sheath knife when allowed. We wear shorts for the same reason football or tennis players do, because we do a lot of running about in games and other activities. Shorts are ideal for camp where long trousers would be ruined with all the kneeling, tent pitching and rough-and-tumble activities. Longs can be very dangerous around cooking fires. Long socks keep your lower legs warm, protecting against nettles and thorns. Garter tabs keep your socks up, just like a footballer's. 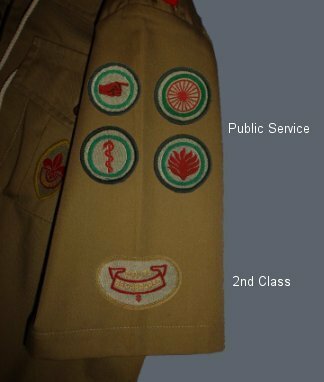 The green tab is a Scout hallmark. 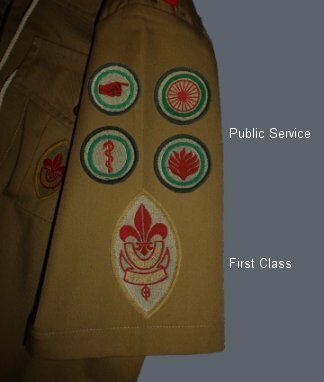 NB: Both the Leaping Wolf and 1st Class badge are displayed for the purpose of showing the badge possitions, however, the Leaping Wolf badge must be removed when the 2nd class badge is gained. 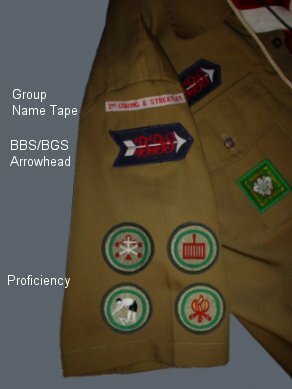 The Leaping Wolf badge is the only badge transferable from the cub uniform.